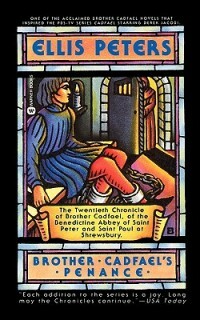 he cloistered walls of the Shrewsbury Abbey have always protected Brother Cadfael from the raging Civil War. But when fighting escalates between Empress Maud and King Stephen, the war takes a deadly step closer to Brother Cadfael. Taken prisoner in the battle for Maud's land is Olivier de Bretagne, Brother Cadfael's own son -- born as a result of a brief encounter thirty years earlier. Now Brother Cadfael resolves to plead for his son's release at a peace conference scheduled to take place in Coventry; but there is no sign of Olivier there. After much soul-searching, Cadfael makes the difficult decision to break his monastic vows, leaving Coventry without permission -- because he knows he must do everything in his power to find his son.